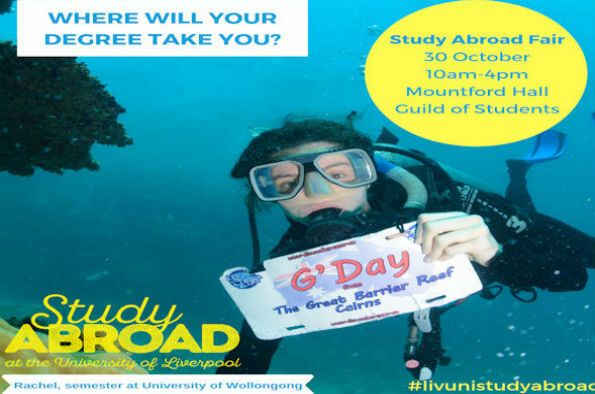 The Study Abroad Team is hosting the 2018 Study Abroad Fair on 30th October. The Study Abroad Fair is the biggest and best opportunity you have to find out about all of our Study Abroad opportunities! You will have the chance to discover the various programmes on offer, learn more our partner universities across the world, attend a series of talks led by the Study Abroad Team and talk to students who have previously studied abroad. The Study Abroad Team is very excited to announce brand new Summer Abroad opportunities and the Year in China for final year students at the fair. By attending the fair you will also be eligible to enter a prize draw with the top prize being a £250 travel voucher courtesy Student Universe!